There are many ways to see and experience Italy. For most, it’s essential to visit the great cities and popular regions. From Rome, Florence and Venice, to Cinque Terre, this special country provides an abundance of varied and wonderful experiences. But, for some, there’s another Italy. An Italy of small towns and villages where one can slow down and experience the gentle rhythm of everyday life. An Italy filled with unique artistic, cultural and culinary treasures, yet relatively untouched by tourism. This is our Italy. This is Esperienza. Authentic. Immersive. Transformational. These are a few of the words our guests have used to describe their experience. 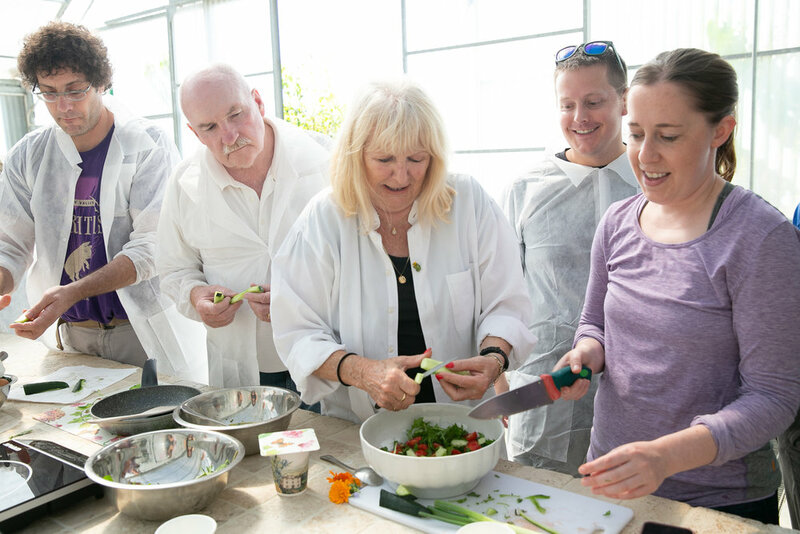 Whether you’re interested in furthering your language education or cooking and eating your way through an unforgettable culinary tour, Esperienza may be your next step. While you have the unique opportunity to see and appreciate a different corner of Italy, you’re also helping to revitalize it. We were recently invited to appear on a local news station to talk about Esperienza. Click on the photo to the left to check out this interview, where you can learn a little more about the program and its founders.